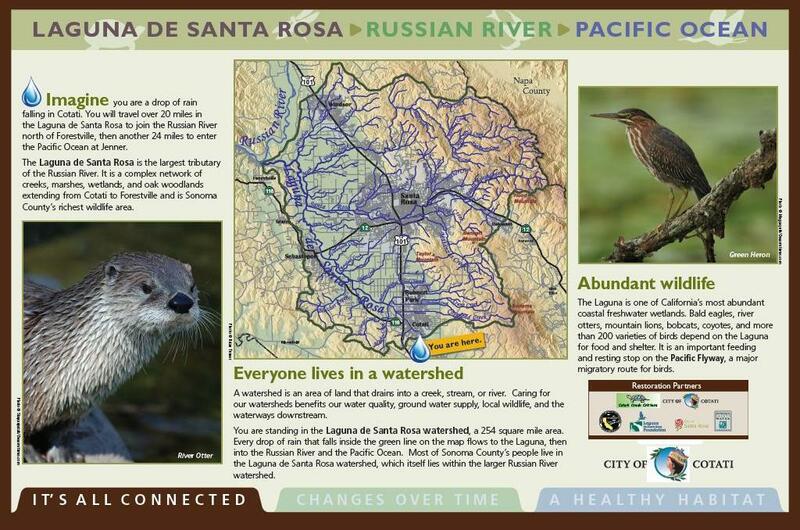 Cotati Creek Critters hosted an Open House event on the theme “Collaboration for Urban Stream Restoration” on Saturday, October 10, 2009. 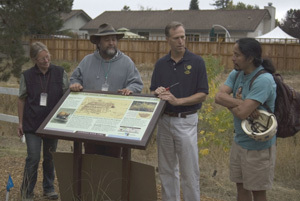 Speakers included California Assemblyman Jared Huffman; Grant Davis and Keenan Foster, Sonoma County Water Agency; David Bannister, Laguna Foundation; Laurette Rogers, the Bay Institute STRAW Project; John Guardino, (then) Mayor of Cotati. 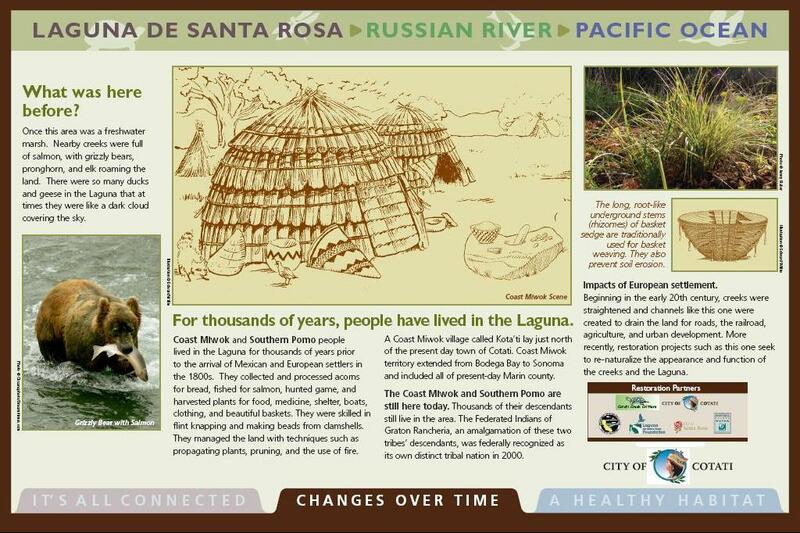 Three interpretive signs, which tell the story of the biology, history and restoration of the Cotati reach of the Laguna, were unveiled, two of them by Assemblyman Huffman. 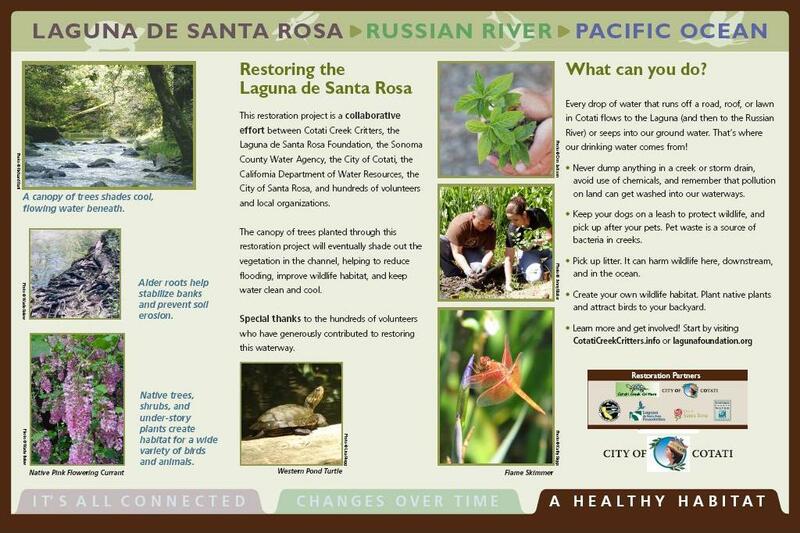 Approximately 30 people including graphic designers, ecologists and historians, writers and editors, artists and photographers, City and SCWA staff and officials, manufacturers and installers, had contributed to the signs.